Stephen King tells us that “if you don’t have time to read, you don’t have the tools you need to write.” While I’ve never read a Stephen King novel, I do believe he’s right. Creative writing classes often reiterate the same lessons. Write every day. Avoid adverbs. Murder your darlings. But when you read, and read thoughtfully, you can pick up lessons that you’ll never hear in a writing class. Here are 5 of the lessons I’ve picked up from my years of reading. They’re oddly specific, but they’re also more actionable than much of the writing advice I’ve been given over the years. 1) Contextualize your similes and metaphors. I’m a sucker for similes and metaphors, but even I have come across some that fall flat. This metaphor is jarring to me because it doesn’t fit in with the story’s background. Ice cream is not an image that I associate with being outside of human civilization, nor does it connect me with thoughts about pre-Columbian people. Above: No ice cream here! Miller constructs her analogies out of elements that her characters would be familiar with. By doing so, she enriches their psyche and enhances the sensation that we are seeing through their eyes. 2) Don’t be afraid to have more than one moral. Most of us have been trained, from childhood, to finish a book and ask ourselves what “the moral of the story” is. As writers, then, it is easy to think that “the moral of our story” should be our starting point, our ending point, and preferably all the in-between points. But that makes for a boring read. None of these morals have any apparent connection to each other, nor do they make a significant contribution to the “moral of the story.” Yet, coming upon them is delightful, and all together, they transform Les Miserables from a story into a masterpiece. 3) Let time pass naturally. JK Rowling excels at incorporating the calendar into the movement of her novels. We see Harry and the gang re-adjusting to school after summer, putting on scarves as the weather gets cooler, celebrating (or mountain troll hunting) on Halloween, studying for midterms, shopping for Christmas presents, mourning the end of Quidditch season. 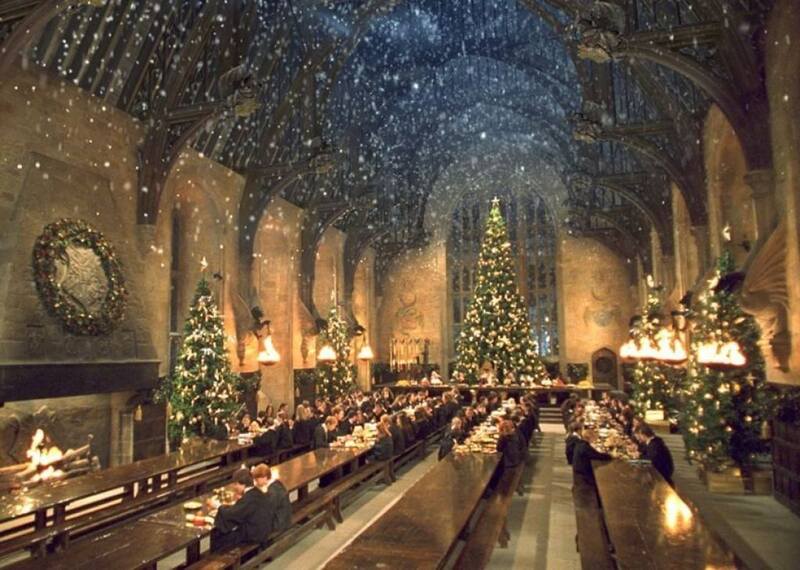 Above: I’ve always been bewitched by JK Rowling’s great hall, which features a ceiling that changes to match the weather. Most of these details are found in the background of the story. Rowling still manages to overlay the passage of time with action-packed plotlines. Yet, her faithfulness to the calendar contributes significantly to her world-building–and at the end of the day, it is the Potter world, not the Potter plotline, that keeps superfans coming back for more and more. 4) Give your characters unique voices. Most importantly, don’t give all of your characters the same quirk! And I can accept that he might fall in love with an equally verbose girl–for exactly that reason. The way they communicate is rare and allows them to make an unusual connection with each other. But when a background buddy begins to say, “Thank you for explaining that my eye cancer isn’t going to make me deaf. I feel so fortunate that an intellectual giant like yourself would deign to operate me” and a random cabbie says, “Some tourists think Amsterdam is a city of sin, but in truth it is a city of freedom. And in freedom, most people find sin” I am turned off. Not only do the characters have unlikely voices, they all have the same unlikely voice–which is effectively the same as having no voice at all. The thoughts don’t sound like the characters’ thoughts anymore. They sound like an endless monologue from the author. Look for unlikely things. Things you can’t explain. Above: Canada’s Great Bear Rainforest looks like a great place to start to me! What are your pet peeves in literature? What little things make a novel great in your eyes? I miss your texts in your blog! By the way, the first line that you wrote with the quote it was very interesting to me ” “if you don’t have time to read, you don’t have the tools you need to write.””. I have some good things to tell you but when I’ll be in vacation I will write to you! Have a good week and please, write more! I was the same way in college–except I couldn’t resist reading and did it anyways, even when I should have been studying for tests! haha I can only imagine how busy your schedule is! Hopefully vacation will come soon. I’m curious about your good things! This is so great! Thank you for sending it to me. One more: listen to your critics…You don’t have to change anything, but listen.